The Government of Canada has announced that they are putting a program together to pardon people with old marijuana possession charges. Many have concerns as to whether they will be able to travel to the United States after they receive a “pot pardon”. 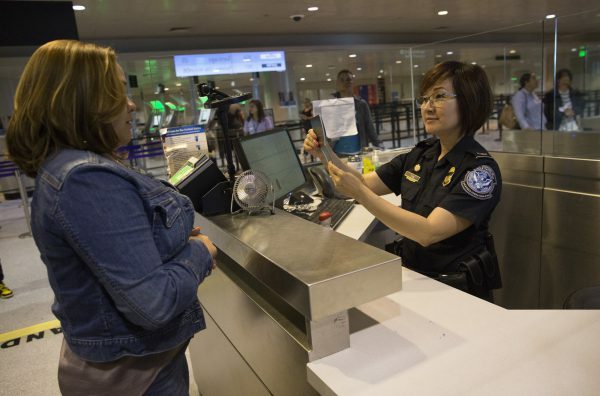 U.S. Customs and Border Protection is clear that a pardon is not recognized by their government and does not guarantee entry into the United States. So how does one overcome their inadmissibility to the United States? The simple answer: obtaining a U.S. Entry Waiver will guarantee entry to the United States. If your possession charge is recorded in the federal criminal records database (CPIC) then a U.S. Customs and Border Protection agent can look up your old record and deny you entry. They can also discover your past charge by simply questioning you. If you’re caught lying about an old charge you can be detained and banned entry to the United States for a period of time. Why Do I Need a U.S. Waiver If I Have A Pardon? When you’re granted a pardon by the Parole Board of Canada it seals your criminal record in Canada. For situations like employment applications old criminal charges will not show up on a police record check once your pardon is approved. However, the United States does not recognize Canadian pardons and therefore requires you to apply to them for a U.S. Waiver. You very well could be questioned about having been charged, arrested, or fingerprinted in the past, regardless of whether you have a pardon. As previously mentioned, lying to a Border Officer is grounds for denial, detention and being banned from future crossing. Old Marijuana Charges and Entry to The U.S. If you have any past charges for possession of large quantities or trafficking of pot then you will still need to obtain a Canadian criminal pardon (also known as a record suspension) through the current process. You would also need to apply for a U.S. Entry Waiver if you wish to ensure travel to the United States. While the government puts it’s program together for pot possession, get a head start on how to apply for a U.S. Entry Waiver by call us for a free private consultation at 204-453-0099. This entry was posted in Blog, Border Crossing, Pardon Eligibility, Pardons, US Waivers and tagged free pardons, marijuana, possession, pot pardon, weed. Bookmark the permalink. Double Standard In Punishment For Illegal Pot Sales? The Apology Act: Sorry, It’s Real. Fast, Free Pot Pardons Available This Year?